New updated MORA 546!. 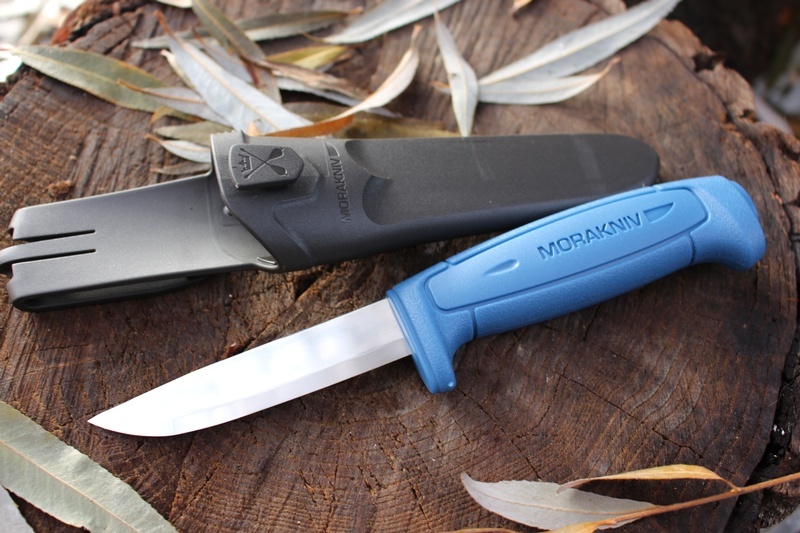 One of MORA's best selling knives this is the excellent 546, upgraded and redesigned the new 546 has a 'pro series' style handle, beefier with a thicker finger guard and new design with logo, it also has the Pro sheath with belt slot, as well as belt clip and button slot. Same superb 2mm thick, 91mm long, scandi ground Sandvik 12C27 stainless steel. OAL..8 in/Blade 3.5 in come with Polypropylene sheath. 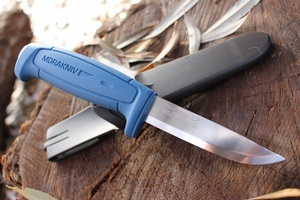 Purchase through PayPal by using the "Add To Cart" button above or use the form below to order the NEW Upgraded Mora Knives 546 . 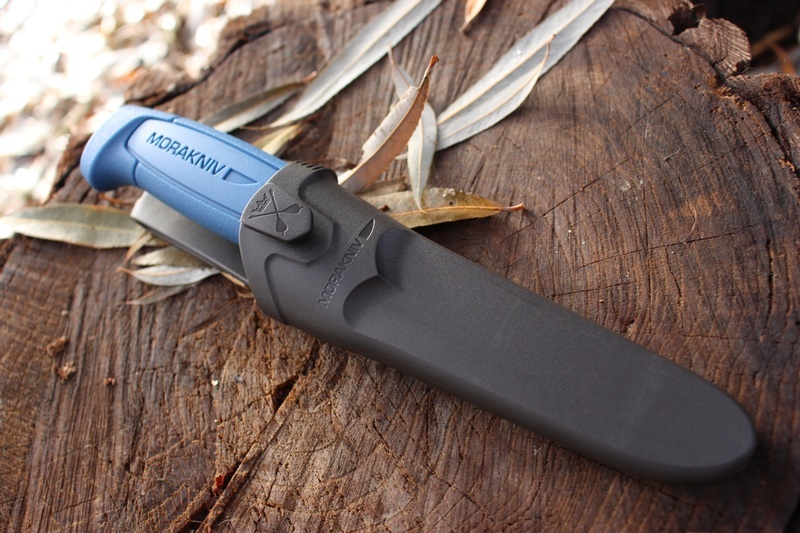 Feel free to contact us if you have any questions about the NEW Upgraded Mora Knives 546 .